We offer an exciting and unique opportunity for early years children to experience the freedom of the natural world first-hand. 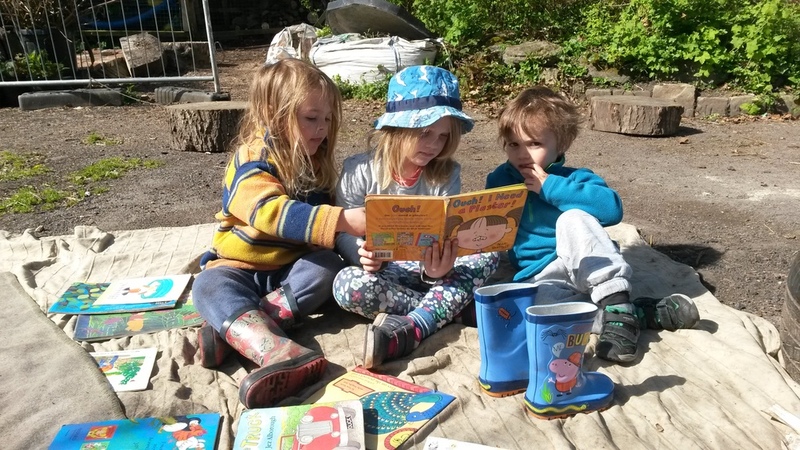 Welcome to Sheffield Woodland Kindergarten, Sheffield’s only fully outdoor childcare provision. Here we provide childcare for children aged 18 months and upwards, in a safe, loving and relaxed atmosphere. We aim to provide children with an environment they feel they can explore with great depth. Our activities support their play, led by the children’s innate curiosity. Research shows that outdoor learning experiences are often remembered for a lifetime and provide relevance and depth to the curriculum in ways that are difficult to achieve indoors. We deliver the Curriculum in our own unique way, strongly influenced by the Forest School ethos. Our highly qualified and experienced practitioners explore creative ways to deliver the curriculum, by encouraging the child to explore and think independently. Our home is a beautiful and unique area of protected woodland, within the heart of the city centre, with excellent transport links and great local facilities. This allows us as a Kindergarten to explore Sheffield’s outdoor areas with great depth, with weekly outings to the Botanical Gardens, Endcliffe Park and Weston Park Museum to name a few. We also explore the wider beautiful areas surrounding Sheffield, with trips to the peak district, where the children are allowed to freely engage in the natural environment. We offer FEL (15 hours) and EFE (30 hours) funded places with no additional costs if hours are claimed between 9 and 4.30 pm the additional hour 8-9 am and 4.30-5.30 pm is charged at £8 per session.